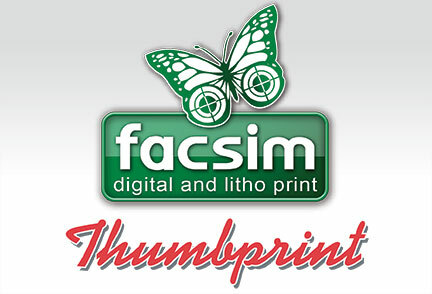 Facsim previously based in Chalford has now moved to new offices in Cirencester and has acquired Thumbprint (Cirencester). With the combined wealth of experience, location, advanced digital and lithographic equipment, we provide high quality print at exceptional prices. 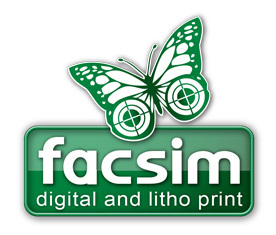 Facsim (meaning 'facimile an exact Copy') was established in 1988 and based Chalford in Gloucestershire as a reprographics supplier to the printing and advertising industry. 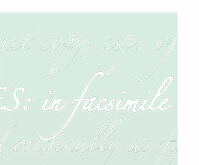 Facsim offers a combination of traditional repro skills and up to date digital scanning and imaging techniques. We specialise in quick turnaround short-run print. Typically this includes brochures and flyers, newsletters, training manuals, books and booklets, posters and point-of-sale, postcards and greetings cards. We have a wide range of in-house production facilities: High resolution scanning, digital and conventional (offset litho) print, large format printing, giclee, vinyl laser cut signage, finishing, book binding, die-cutting, and lamination. We also have a network of trade suppliers who look after aspects of jobs that are beyond our scope. We have a highly skilled in-house design team that can produce catalogues to flyers, product packaging and brand management. 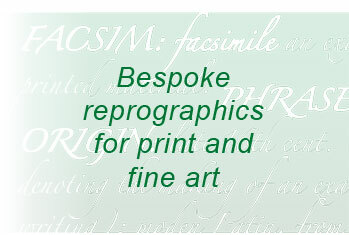 We accept designs direct from customers, adding the final touches if required to ensure a successful printed result. With a combination of over 40 years experience, our company has been supplying a wide spectrum of businesses, organisations and individuals with high quality design and print services. Our customer service, combined with technical and cost saving advice is unrivalled and our attention to detail is second to none. Let us look after all your printing and reprographic requirements to further your business success! • Friendly experienced advice for print & design. • Proofing - short run digital print.